Our little 13" Rumple Shelf Sitter Gnome from GardenFun is ready to relax in your home. He's built with a sitting position, making him a perfect addition to your mantle, your fence, your desk, your bookshelf or just about any place you'd like to add a charming, cheerful touch. He's such a friendly guy that he's sure to put a smile on your face each and every day. Plus, he features a classic garden gnome look you're going to love. 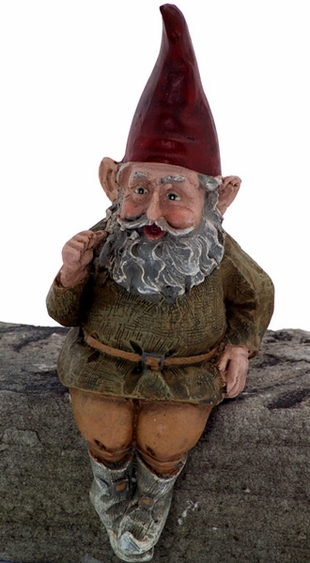 With our gnome shelf sitters like Rumple, you get a product that can be easily used indoors or outdoors for years. He's crafted from weather-resistant cast stone resin, so he's a sturdy little fellow who will retain his color and shape. Rumple measures 13" tall.